See whats happening at Torchcraft and what I've been working on. 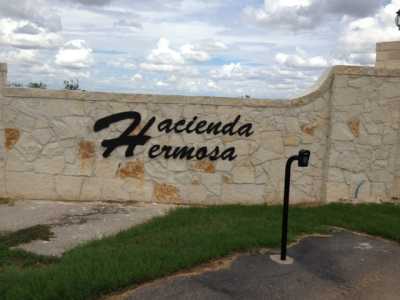 New home with rock wall winged entrance is graced with the name of the place. Cut from 3/16" place and mounted with anchors so that it can be removed (much later) for repainting. 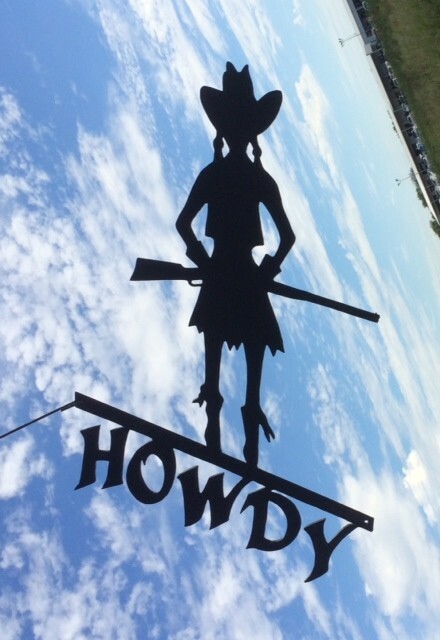 Torchcraft cuts most outdoor signs from 3/16-inch (7 gauge) new plate steel. Indoor signs may be cut from 1/8-inch steel. It's easy to see from the photo the difference in thickness of Torchcraft steel vs the "other guys". Most other artist cut from a flimsy 14 gauge steel such as the one pictured above that I picked up from a local art show. When you think about your metal sign, do you want one as thick as a paper clip or as thick as 4 dimes? Thats an 82% difference. 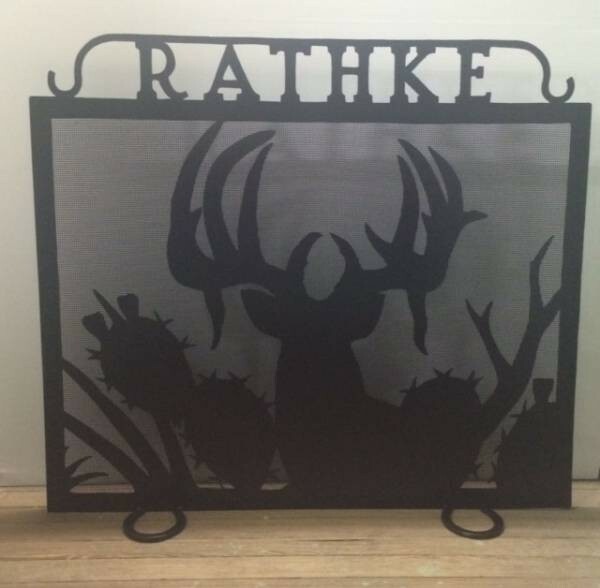 Nice design by customer that ordered and designed the sign for her husband's birthday gift. 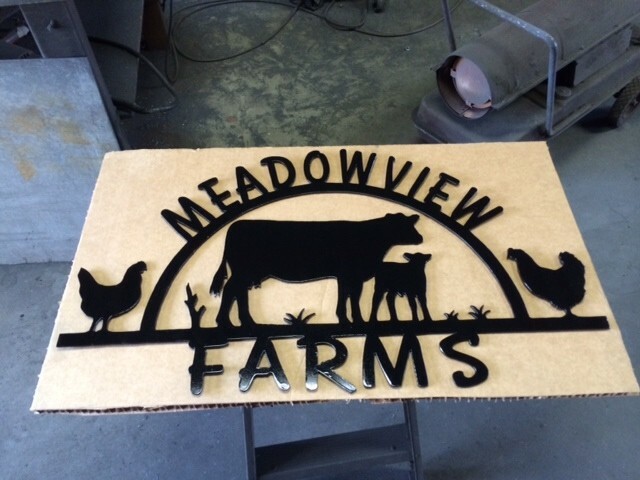 This refreshing sign is about 40" wide and just looks right for a farm sign. 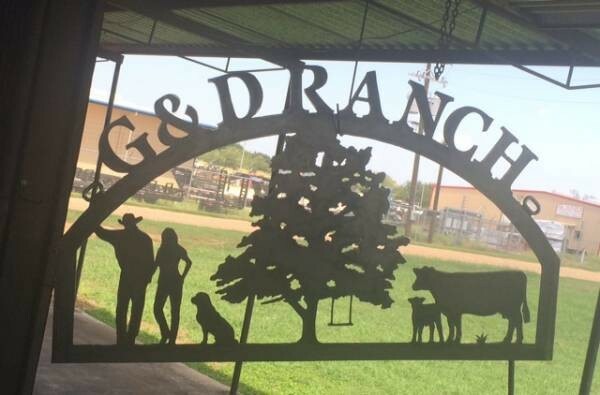 What is a farm without chickens? NOTICE: ALL IMAGES, AND METAL ARTWORK ARE PROTECTED. REPRODUCTION OR MODIFICATION OF TORCHCRAFT ART IS STRICTLY PROTECTED BY COPYRIGHT LAW. Torchcraft is a Registered Trademark. Torchcraft does not have Metal Art Catalogs, Brochures or Templates to offer.